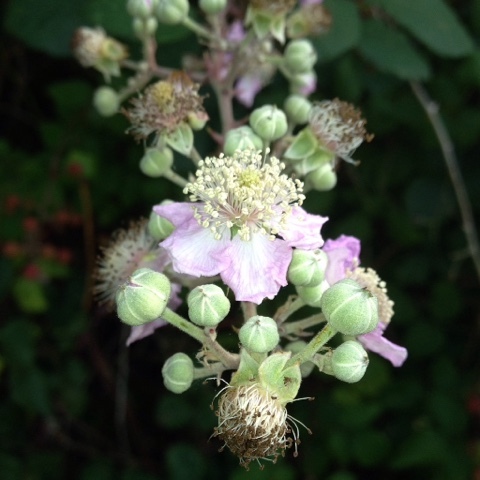 *Hazy morning walks over the fields and woods, picking lots of blackberries and other hedgerow delights. *Collecting summer garden seeds from my favourite plants such as sweet peas, cornflowers and poppies. It's a free way to a blooming lovely garden next year! *Drying and pressing flowers, Hydrangeas are my absolute favourite to dry! *Making jam's and jelly's! I love making jelly's so much, it's so therapeutic and a great way of preserving a glut of fruit. We nearly always have too many plums to eat, so I make lots of things with them. *Spending a lazy afternoon in the garden, if it's chilly I put on my big snuggly jumper, make a cup of tea, and sit and peruse the spring bulb catalogue, and change my mind umpteen times over. What do you love about September? And what do you like doing?